On this page you will find links to assist you as a tenant with rental problems, eviction problems and other tenant/landlord problems. 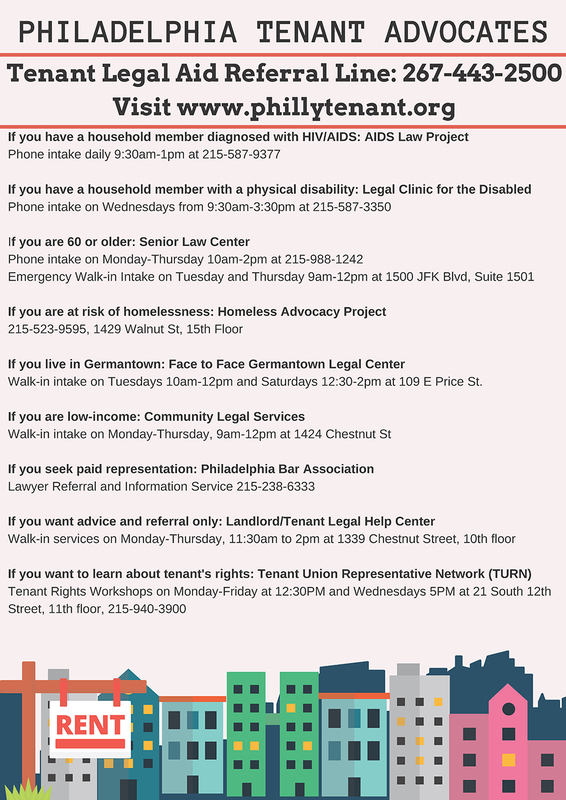 The poster below provides a list of services provided by Tenant Advocates. Click on it to download the poster. 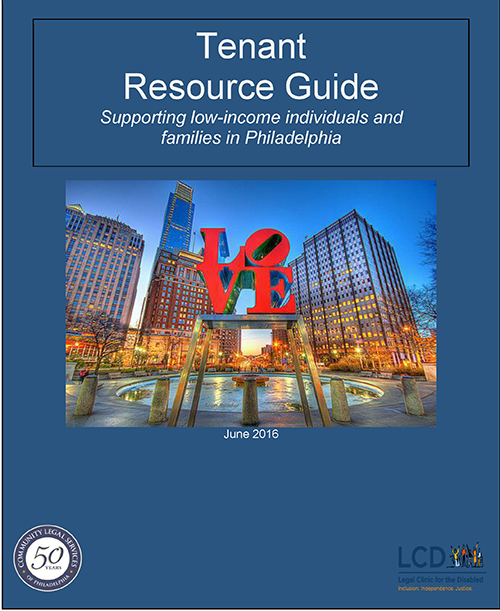 For more information go to the PhillyTenant.org website.